It was only yesterday when we unearthed more details about the specifications of the Sony Ericsson Kurara and now it gets in the spotlight once again. This time the guy behind the camera is Eldar Murtazin of Mobile-Review and as usual, he provides a lot of information about the device as well as some insight on whether or not the market needs a handset like this. His personal blog features some scattered thoughts about the Sony Ericsson Kurara. Allegedly, the cell phone is really fast, captures 720p videos with rather low quality and comes with interface that´s almost the same as the one found the Sony Ericsson Satio comes with. According to the guy, the handset will roll out mid February 2010 with a price tag of $670 – $750. 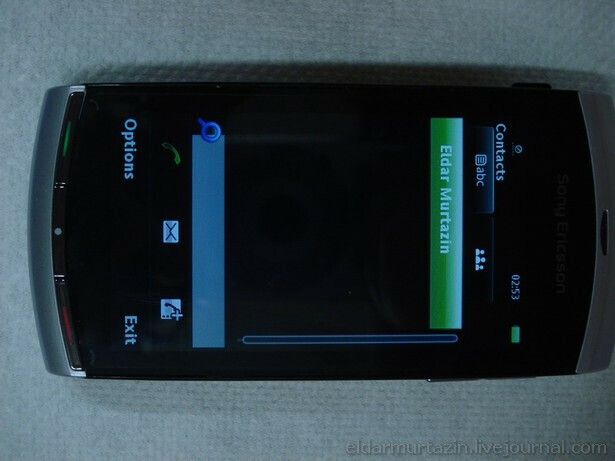 Still, his opinion is based on the tests of a prototype, so we do hope the final, retail units of the Sony Ericsson Kurara deliver better HD video capture functionality. sounds like 2010 will be a busy year for all cellphone makers!